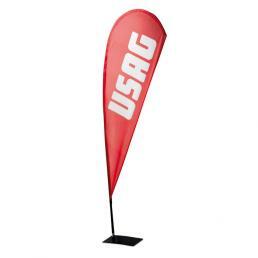 Are you a USAG retailer and want to set up your store with branded products? 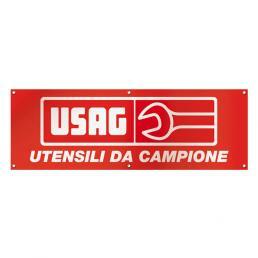 On Mister Worker™ you can find a selection of products designed for the preparation of the store, all available for immediate delivery at a special price. 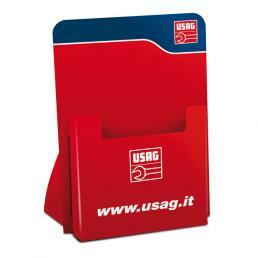 In the Mr. Worker™ catalog, various USAG accessories are available, suitable for setting up your store or your workshop. 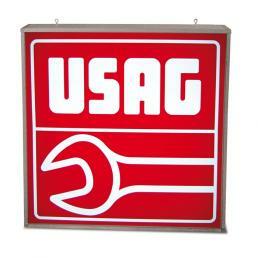 For example, the indoor USAG light sign is perfect to hang on a wall of your workshop, perhaps setting up a dedicated corner with a work cart or a workbench of the same brand; the outdoor light sign, on the other hand, is an elegant and professional detail for the entry of its mechanical workshop. 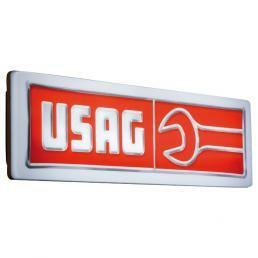 As an alternative to the illuminated signs there are the institutional banners, metal plates with the USAG logo to hang inside or outside. 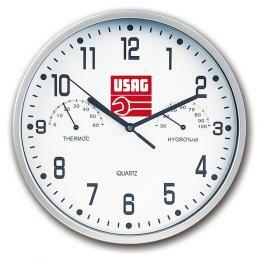 The catalog also includes items such as the USAG watch, the brochure holder, the USAG stickers, the rest, a flagpole flag and a flag from the ground. 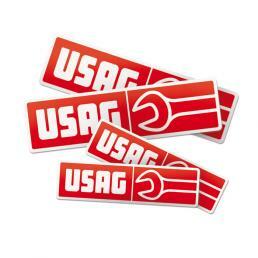 These are products that enrich your store or your workshop, making it professional and reliable in the eyes of customers. 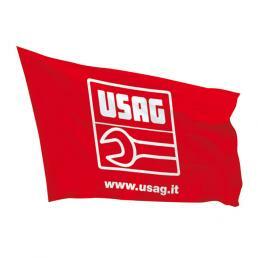 If you want to get the best out of your store and need advice or more information on some products on our site, call us at +39 02 9143 3257: our experts will help you!